I work with small businesses in Folsom, CA to make sure they're able to choose the coverage they want. My job is to help as you select commercial coverage like property, liability and workers' compensation insurance. 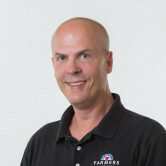 Whether you operate in auto service, real estate, restaurants, or another industry, Farmers agents understand your business and its unique needs. Give me a call at (916) 983-9640 to discuss how you can protect your business.